The exhibition which is conceived for the 4th Centenary of the foundation of the Vatican Secret Archives aims at explaining and describing what the Pope’s archives are and how they work and, at the same time, at making the invisible visible, thus allowing access to some of the marvels enshrined in the Vatican Secret Archives’ 85 linear kilometers of shelving; records of an extraordinary historical value, covering a time-span that stretches from the 8th to the 20th century. The name, Lux in arcana, conveys the exhibition’s main objective: the light piercing through the Archive’s innermost depths enlightens a reality which precludes a superficial knowledge and is only enjoyable by means of direct and concrete contact with the sources from the Archive, that opens the doors to the discovery of often unpublished history recounted in documents. The exhibition is enriched by multimedia installations, guided by an intriguing but rigorous historical narration, to allow the visitor to experience some famous events from the past and to “re-live” the documents, that will come to life with tales of the context and the people involved. 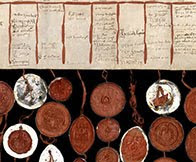 The 100 documents, chosen among manuscript codices, parchments, strings and registers, will remain at the Capitoline Museums for nearly seven months, from 1st March till September 2012. 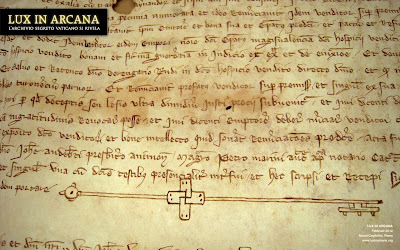 An extremely prestigious location, chosen to host this memorable event since it underlines the profound bond existing between the city of Rome and the Papacy since medieval times; the origins of both institutions involved in the event trace their roots back to Sixtus IV’s artistic sensibility; however, at the same time, the history enshrined in the Vatican Secret Archives is intertwined with the history of Italy, Europe and the World as a whole. 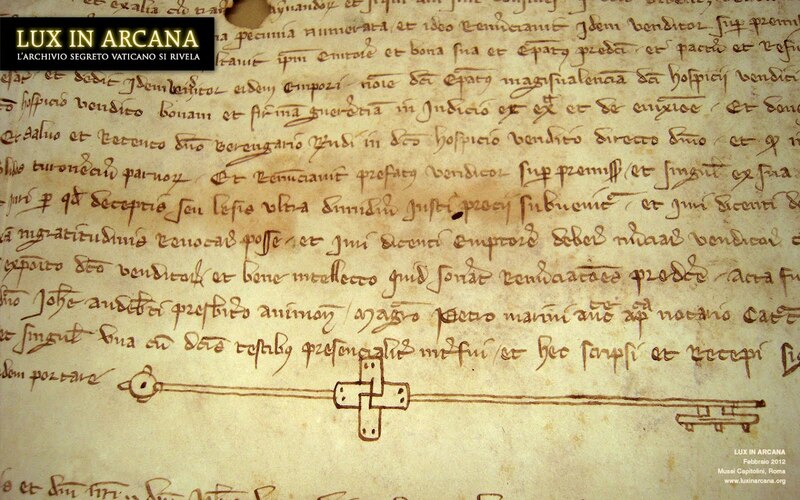 Take time to explore the documents page which has small but detailed and crisp images of some of the documents as well as information about them. These images can't be enlarged but if you go to the media page and click on the wallpaper images, you can see some of them in exquisite detail.